Floating Video the first and only WordPress plugin that allows you to keep watching video while scrolling or navigating between pages. Stay playing with navigation – Stay watching video when navigation to other pages. 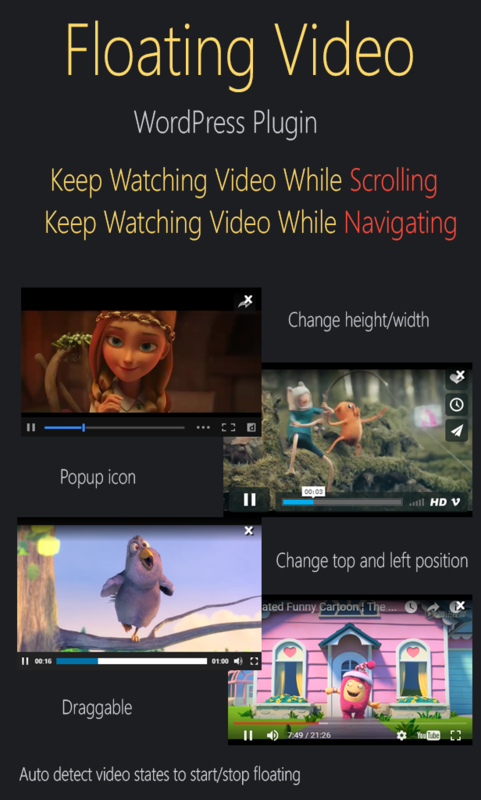 Show floating button – Show floating button, this button for videos not supported auto floating while scrolling. Active on mobile – Check on if you want floating video work on mobile. Active on tablet – Check on if you want floating video work on tablet. Auto Start floating – Auto Start floating when one video in page. Updated - Detect new WordPress V4.81 Video Widget. Added - Now compatible with Visual Composer. 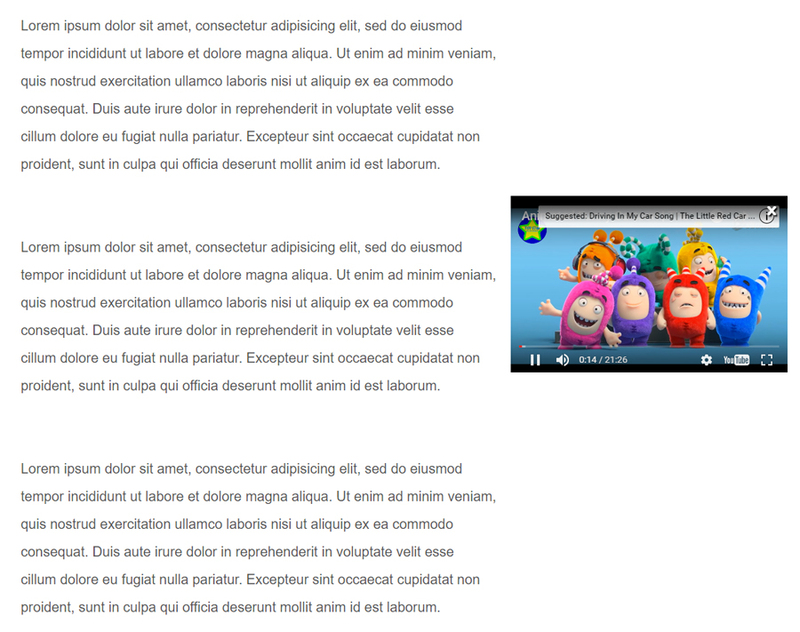 Added - CSS class for non supported videos. 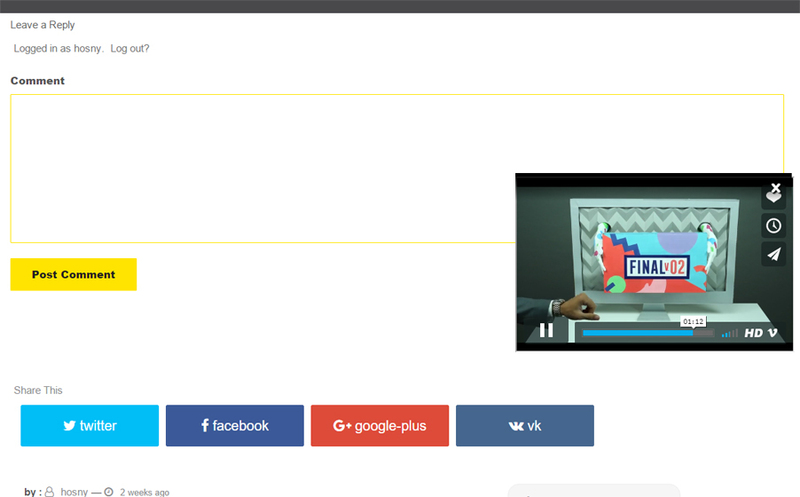 Added - Auto Start floating when one video in page. New - Show / Hide popup icon on videos. New - On / Off start floating video while scrolling. Fixed - Errors with old PHP versions.